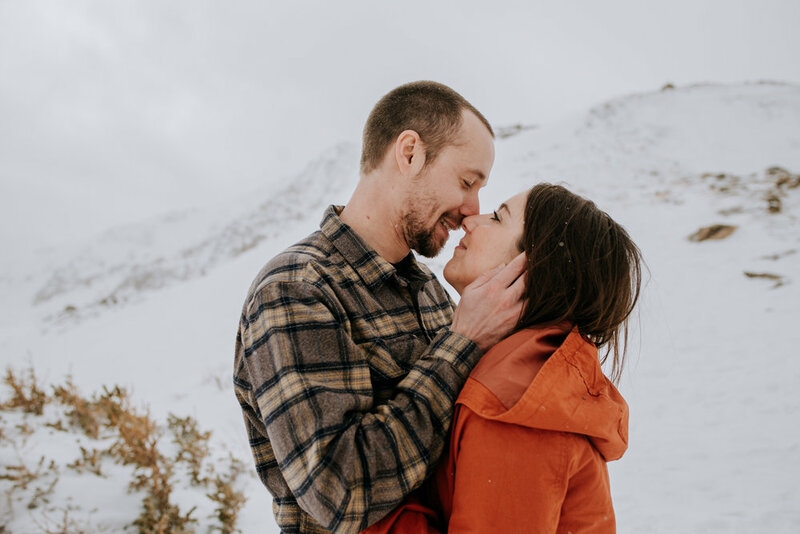 Meg and Ed braved the snow and cold for this gorgeous wintery mountain engagement session. I asked how they met and was so impressed with their love story! 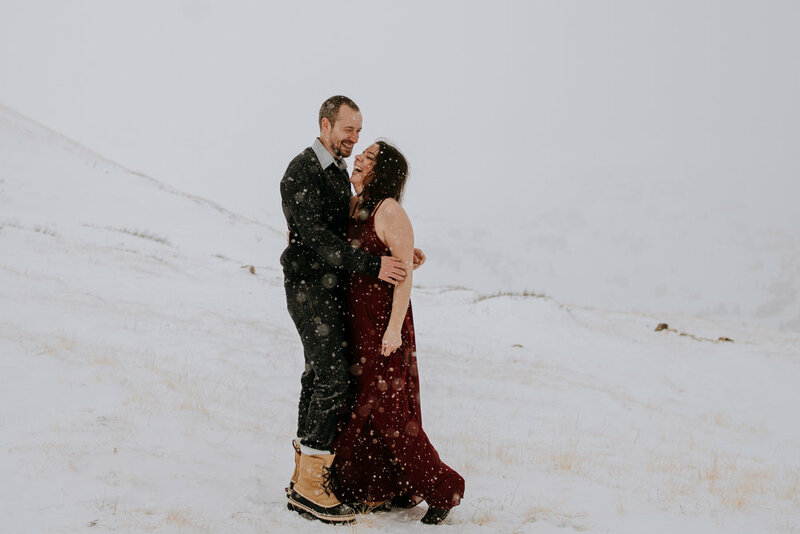 Meg had moved to Alaska and starting dating Ed. However, Ed had just decided to embark on a working holiday Visa to New Zealand. Meg jokingly asked if she could come- and Ed said she should! Almost immediately the two were half way across the world exploring and adventuring together! How cool is that? 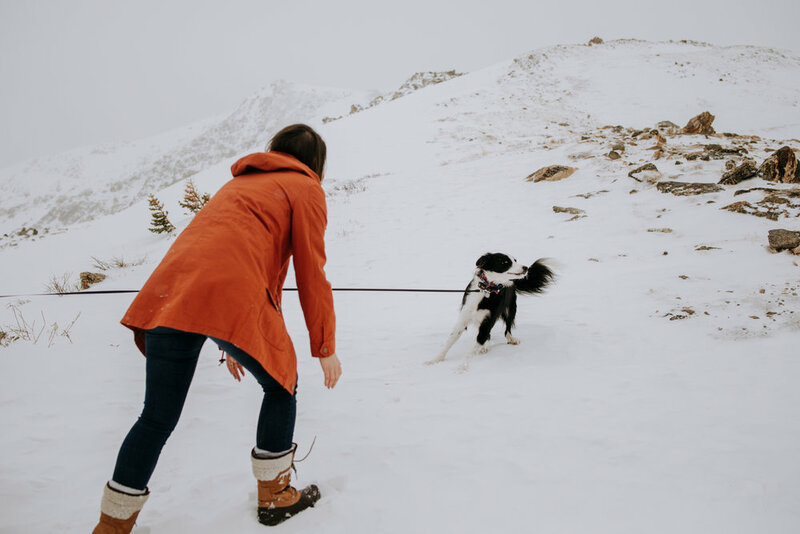 We traded New Zealand stories and had a blast playing with Juneau in the snow. 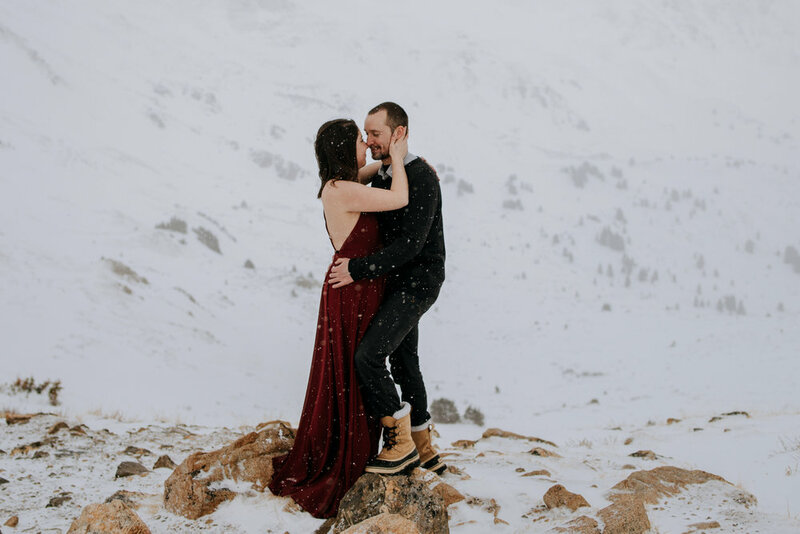 Meg is an absolute boss for wearing this stunning red dress in the cold! We did lots of warm ups in the car- and I’d say it was worth it! 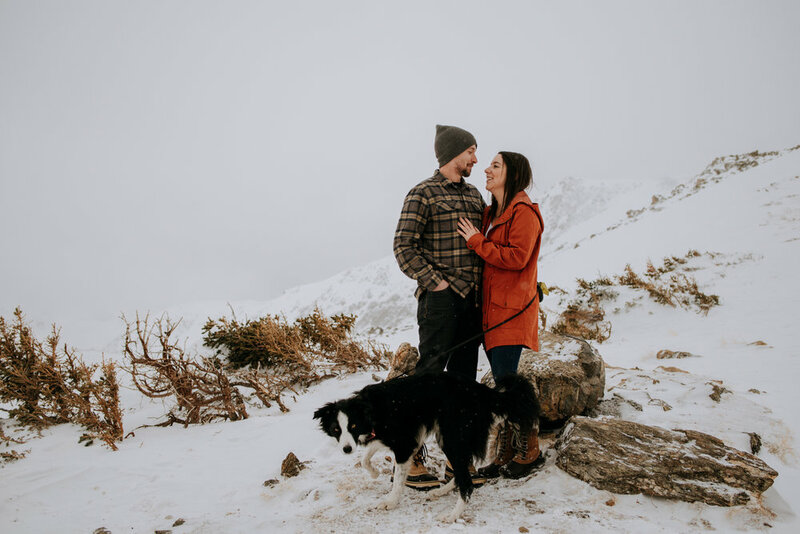 If you would like more information on how to book with me and get started on planning an epic engagement or adventure session, please don’t hesitate to reach out!